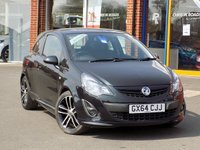 Finished in a smart Carbon Flash Metallic this Black Edition Corsa and with its VXR Styling Kit and low miles is great value for money. Comes with nice features and puts the fun back into driving. Please ask for details of our fantastic finance and warranty packages, subject to status, T's and C's apply.